*Following the announcement of a live album launch show in January which subsequently sold-out within hours, Sophie Ellis-Bextor has revealed a further live date for London audiences which is set for Thursday 10th April at the gorgeous Union Chapel. Tickets are on sale from Friday (1st November). *Gabriella Cilmi is streaming her new album ‘The Sting‘ in full through Digital Spy ahead of its release on 4th November and can be heard here. *Similarly, Celine Dion is streaming ‘Love Me Back To Life‘, her first English language studio collection in six years via Popjustice. The thirteen track standard edition can be heard in full here. *The incredible and astonishingly amazing P!nk is to release a live DVD of her ‘The Truth About Love Tour‘ which was filmed in July during a record breaking eighteen date run at the Rod Laver Arena in Melbourne, Australia. A video of the live version of the album opener ‘Are We All We Are’ sees a mixture of performance interspersed with backstage and fan footage. 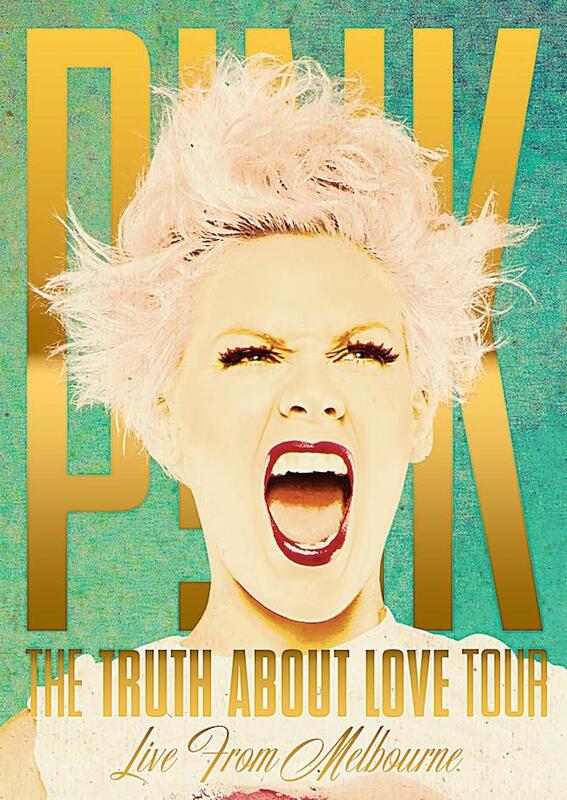 ‘The Truth About Love Tour: Live From Melbourne’ is released in the UK on 25th November. *Justin Timberlake has premiered a video for ‘TKO’ which was released as the second single from ‘The 20/20 Experience – Part 2 of 2‘. The video features a commanding performance from Riley Keough. *Lady GaGa has showcased the studio version of ‘Venus’, which she initally premiered with a live performance on The X Factor over the weekend. The track is business as usual for Lady GaGa – bonkers but brilliant! *Eminem releases his eight studio collection ‘The Marshall Mathers LP 2’, a continuation of his 2000 sophomore release. Following the enormously successful single ‘Love The Way You Lie’, Eminem’s new album released worldwide on Tuesday 5th November features another collaboration with Rihanna on the track ‘The Monster’ as well as appearances from the likes of Nate Ruess, Skylar Grey and Sia. *Kelly Clarkson’s festive number ‘Underneath The Tree‘ now has an adorable animated lyric video to accompany it. *Australian X Factor judges Dannii Minogue and Ronan Keating have joined forces to record a special version of the Christmas classic ‘Santa Claus Is Coming To Town’. The track is included on a charity album ‘The Spirit of Christmas 2013’, which is released in support of the Salvation Army. *Beyoncé will release the documentary ‘Life Is But A Dream‘ on DVD format on November 25th. The two hour film documents the period of time connected with the recording and release of her 2011 album ‘4’, her pregnancy and return to the limelight which culminates in footage from her four night residency at Revel Atlantic City. The package also contains a download code which allows access to a new Beyoncé track ‘God Made You Beautiful’, an exert of which can be heard during the trailer below.